Do you have multiple users you would like to edit/publish/review your promotions? 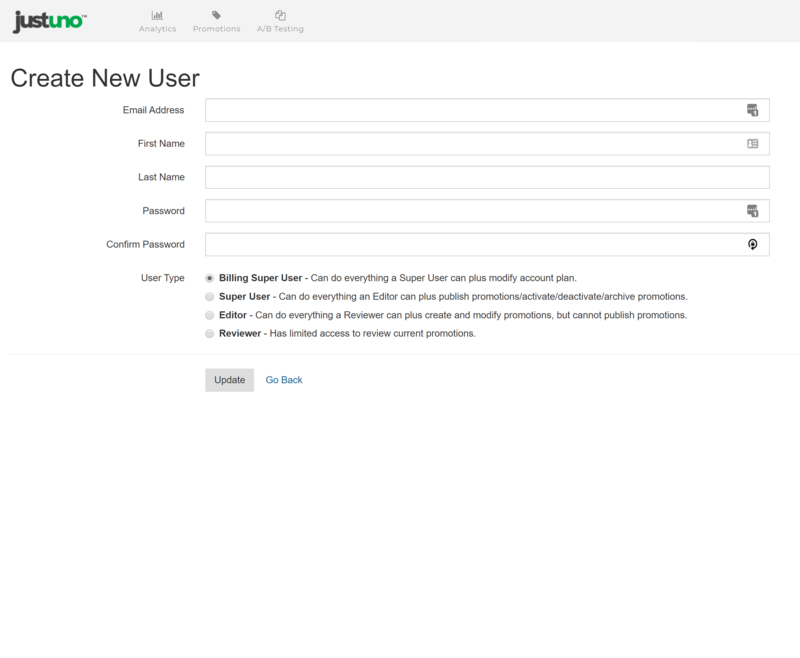 With the multiple users feature, you can add as many users to your account as needed. Billing Super User - Can do everything a Super User can plus modify account plan. Super User - Can do everything an Editor can, plus publish promotions/activate/deactivate/archive promotions. Editor - Can do everything a Reviewer can, plus create and modify promotions, but cannot publish promotions. Reviewer - Can only review current promotions. Step 1.) 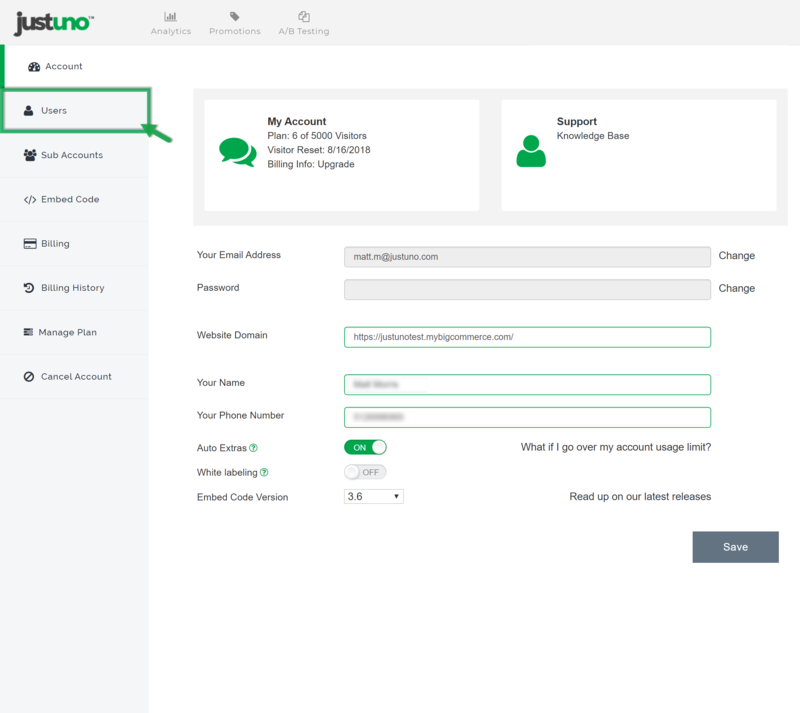 Log into your account and click on "Settings" located on the top right hand side of your page. Step 4.) 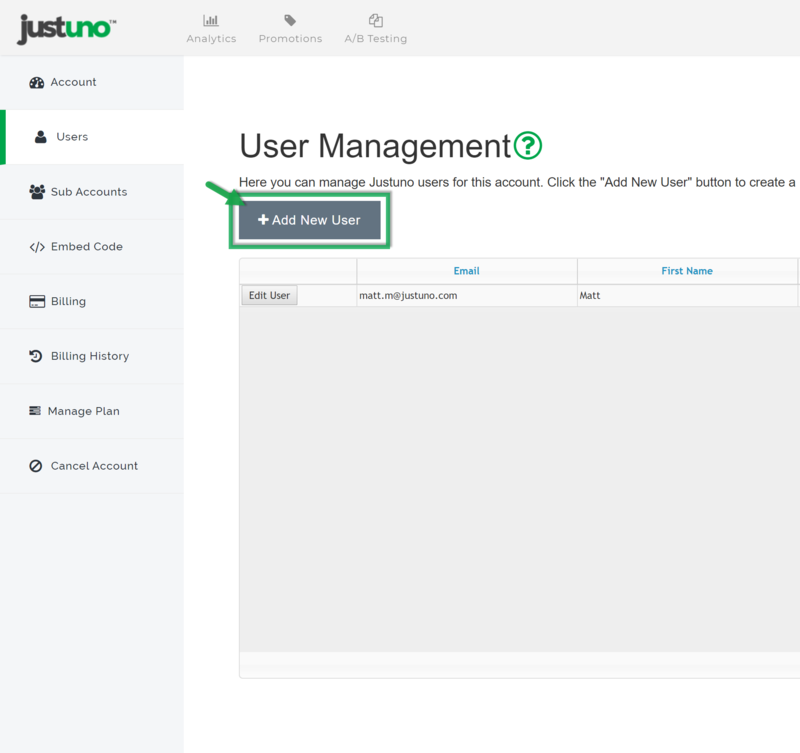 Here you can add a new user and choose/edit their Justuno privileges by clicking update when finished.